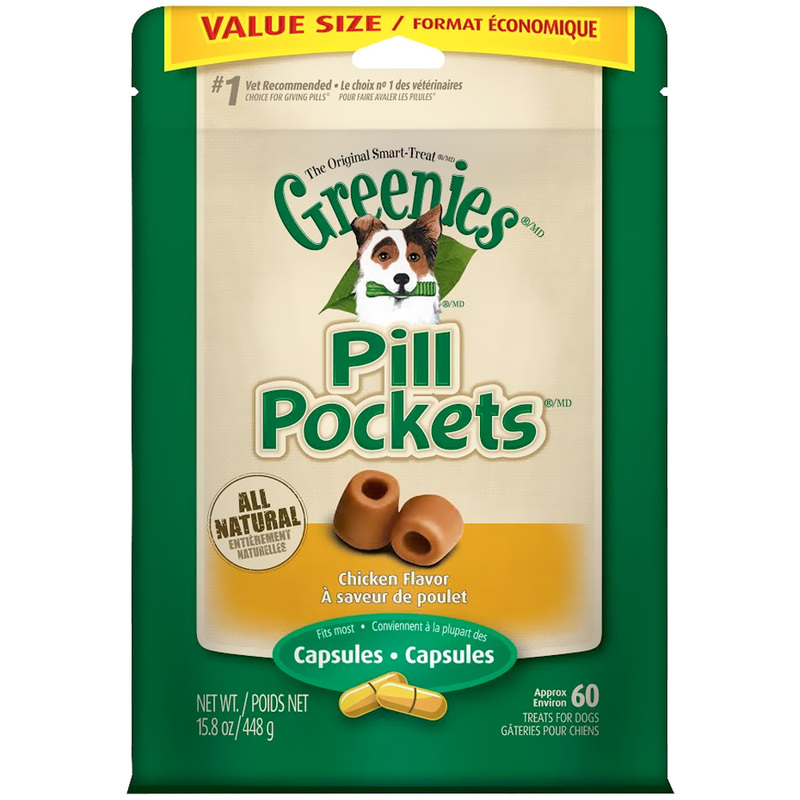 Greenies Pill Pocket Treats are the perfect way to administer capsules to a finicky dog. These clever confections contain a pocket that is the perfect size for containing a capsule. Simply place your dog's medication or supplement in the pocket and the treat naturally offers a mechanism for hiding the capsule and masking it's flavor. The treats can also hold liquid or posdered medications, as the treats can be shut closed. Greenies Pill Pocket Treats contain a blend of antioxidants and vitamins that promote a healthy immune system and are veterinarian recommended. These treats were made in the USA and come with approximately 60 treats per package. You won't believe how easy these treats make it to administer medication to your pet, so don't wait- order now!